In 1972, ARPANET was used to arrange the sale of cannabis between two students, and e-commerce hasn’t stopped since. From the earliest days of Internet technology, it was almost inevitable that it would be used for shopping. By 1979, the first online shopping system was born – despite the fact that Internet as we know it would not be popularized until the late 1980s. By 1995, Jeff Bezos launched Amazon, and the future of shopping was forever changed. Today, e-commerce drives some $360+ billion in revenue yearly, representing exponential growth over a period of just 30 years. But, while explosive, the concept of e-commerce is hardly a new one. Until the 1960s, many products were ordered more often through magazines (think Sears and Roebuck), often custom made, and purchased less often ready-made in shops. While the general store and the shopping mall is an age-old concept, physical shopping is not as traditional or as standard as most of us think. Now, with the rapid expansion of e-commerce and dropping retail sales, the common perception is that retail is dying. But is that necessarily true? A quick glance at the news will give you a stark impression of the current state of retail. J.C. Penny closed or is closing 138 + locations, Toys R Us is following suit with 180+ stores, and Walmart is shuttering Sam’s Club locations around the country. At the same time, retailers spent more than $1.6 billion on mall renovations and additions in 2017. These investments largely represent renovations, new attractions like restaurants, and modernization of additional facilities, as traditional retail attempts to compete with the convenience and practicality of e-commerce. Toys R Us, for example, has difficulty competing with Amazon’s online offerings, which often include free two-day shipping for Prime subscribers, free returns, and no need to take children into a toy store. With deliveries as fast as same or next-day in some areas, ‘convenience’ is rarely as big of a draw as it used to be for retail. Brick and Mortar locations also can’t typically compete with price. Amazon sellers can cut costs in every area with simple inventory optimization techniques , dropping pricey real-estate rental in prime mall locations, cutting physical inventory, reducing labor costs, and reducing distribution and security costs. Toys R Us has to distribute physical toys to hundreds of locations, pay employees to stock shelves, keep the lights on, prevent theft, offer in-person customer service and checkout, and so on. This model just isn’t competitive or sustainable next to Amazon, where a seller can keep all goods in one location or in Amazon’s warehouses and ship out same or next day. However, traditional retail is still growing at an average of 1-2% per year (compared to an average of 5.5% for total commerce). And e-commerce sales, while significant, accounted for just over 10% of total retail sales, topping 10% for the first time ever in 2017. Retail brands are clearly struggling, cutting costs everywhere possible, closing locations, and attempting to restructure. At the same time, more and more e-commerce brands are infiltrating and succeeding in traditional retail spaces. How? They’re focusing on the same facets of commerce that allowed them to succeed online but in a physical space. By focusing on creating show-rooms and literally doing more with real-estate space, they’re converting customers while creating valuable physical advertisement for their brands. Anker, Bonobos, Warby, Casper Park and over 20 other formerly e-commerce only brands are now making the shift to physical retail, with dozens of physical outlets planned in major cities around the U.S. Even big players like Amazon are getting involved, with a number of pilot physical stores ranging from a book-store to pop-up grocery stores with no cashiers and no need to check out. And, with diversification into traditional malls and deals with Whole Foods and Kohls plus plans to double their existing physical bookstores (to 12), Amazon is at the point where they’re doing a little more than dipping toes to see how the market is. What each of these e-commerce stores is doing is reprogramming how people think and perceive traditional retail. Amazon’s unique concept allows buyers with the app to walk in, pick up a product, and walk out, without ever waiting in line or interacting with anyone. When traditional retail is the only option, retailers have the freedom to be boring, unhelpful, and uninspiring. Today, when customers can walk out and buy the same product with an app often for 85% or less of the in-store price – retail stores have to innovate. Bonobos, for example, uses retail space to showcase products not make sales. You can’t walk home with your products right away, but you do get personal attention, a one-on-one talk with a Bonobos guide, and free of charge returns and assistance with sizing and fit. That’s a big deal in a world where fears of product fit and style are among the largest barriers to online commerce. Amazon’s bookstores use a similar model. Books are displayed with the cover facing out. You get to see the books, not take dozens of them home with you. 20+ e-commerce brands have opened physical stores in the last 3 years. Why? E-commerce only accounts for 10% of all sales, but 60-70% of all in-store sales begin with digital searches. Digital first retail accounts for nearly 75% of total sales – as consumers increasingly begin searching for products online, researching them, checking cost, and checking peer opinions before walking into a physical store to make a purchase. At the same time, fighting for digital sales often means spending millions on ads. Big brands have dipped into e-commerce and repeatedly pulled out, after finding that costs and competition were just too high. But e-commerce stores, which already own online spaces and product visibility have an advantage when moving to retail, for example, nearly half of all product searches in the USA begin on Amazon. Consumers are buying products using omnichannel search and purchasing, and stores are increasingly moving to meet that need. Deloitte estimates that search-influenced physical sales outnumber e-commerce 5-1, and that’s likely influenced by factors like trying products before buying, easier returns, and of course, the convenience of taking products home. Retail isn’t in its death throes yet, but it is changing. As customers increasingly have more options, more solutions, and better ways to compare, traditional retail has less and less room to offer an uninspiring and frankly boring approach at as much as 25% + the cost of the same products online. Physical retail and e-commerce are more and more often working together, leading to trends like phygital, as e-commerce slips in and disrupts what customers expect retail to be. For e-commerce brands, switching to retail gives the opportunity to solidify your brand, drive awareness and brand loyalty, reduce costs with physical pickup points and return points, and deliver a more personal and more tactile experience to customers. For traditional retail, it means that many will have to up their game, improve service and customer experience, or be pushed out altogether. 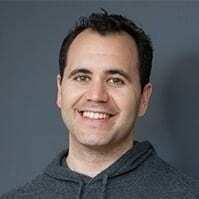 This is a guest post written by Chad Rubin (Ecommerce Renegade) builds e-commerce businesses. Fresh out of college and Wall Street, he took his family vacuum business online and built his own direct to consumer e-commerce business called Crucial Vacuum. He grew it from 0 a $20 million dollar valuation in just 7 years. He happens to be a top 250 Amazon seller. He co-founded Skubana with DJ Kunovac and built one of e-commerce’s hottest operational softwares. Ces changements dans les comportements et les attentes des consommateurs, associés à la digitalisation, ont totalement modifié les paradigmes du marketing du retail, imposant d’immenses mutations. La digitalisation du retail disruptant le point de venteLa crise économique et l’avènement du numérique entraînent une profonde disruption du secteur du commerce, et de son marketing particulièrement.